After writing the TV movie Riverworld for the Sci-Fi Channel in 2003 he performed uncredited rewrites on the apocalyptic thrillers Knowing and The Day The Earth Stood Still. He then adapted John Milton’s religious fantasy poem ‘Paradise Lost’ for Legendary Pictures, which had Alex Proyas attached to direct and Bradley Cooper set to star, and co-wrote the Moses biopic Gods And Kings for Warner Bros., which Steven Spielberg was attached to direct. He is currently rewriting the Henry V epic Agincourt for director Michael Man. 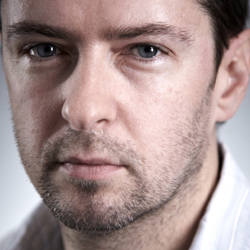 In 2009 Stuart wrote, directed, produced and financed his debut film, the psychological thriller Exam, which hit cinemas in 10 countries including the UK, won the Santa Barbara Film Festival and garnered him a BAFTA Outstanding Debut nomination. Most recently he directed the smash hit film The Shack with Sam Worthington and based on the best selling novel.